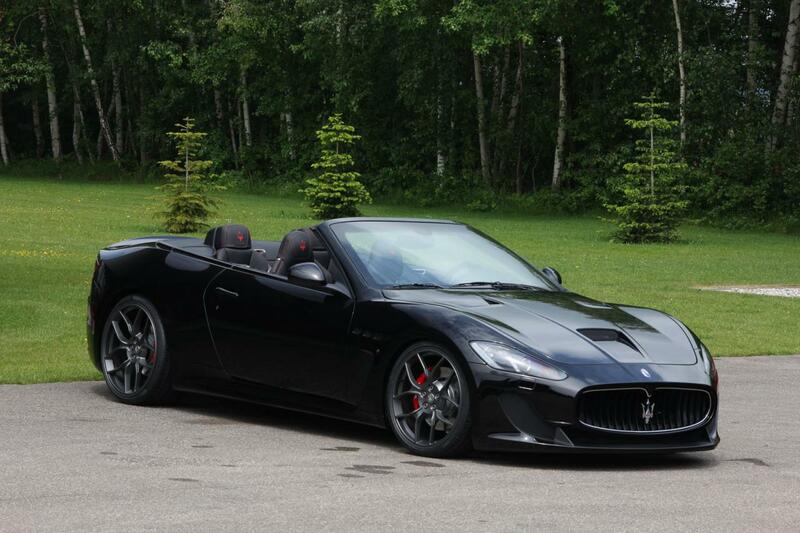 Η Novitec Tridente βελτίωσε την Maserati GranCabrio MC. Στιλιστικά της φόρεσε νέο καπό με εισαγωγή αέρα, σπορ εξάτμιση, ζάντες 20″ έως 22″, και σπορ ανάρτηση με ηλεκτρονικό σύστημα αυξομείωσης της απόστασης έως 40 mm. Ο V8 4,7-λίτρων κινητήρας βελτιώθηκε και αποδίδει 646 άλογα με 624 Nm ροπής, αύξηση 186 άλογα και 104 Nm ροπής από τις εργοστασιακές τιμές. Τα 0-100 χλμ/ώρα τα κάνει σε 3,9 δευτερόλεπτα, τα 0-200 χλμ/ώρα σε 11,4 δευτερόλεπτα, έχοντας τελική ταχύτητα 305 χλμ/ώρα. Το κόστος των μηχανικών αναβαθμίσεων ανέρχεται στις €23.900. 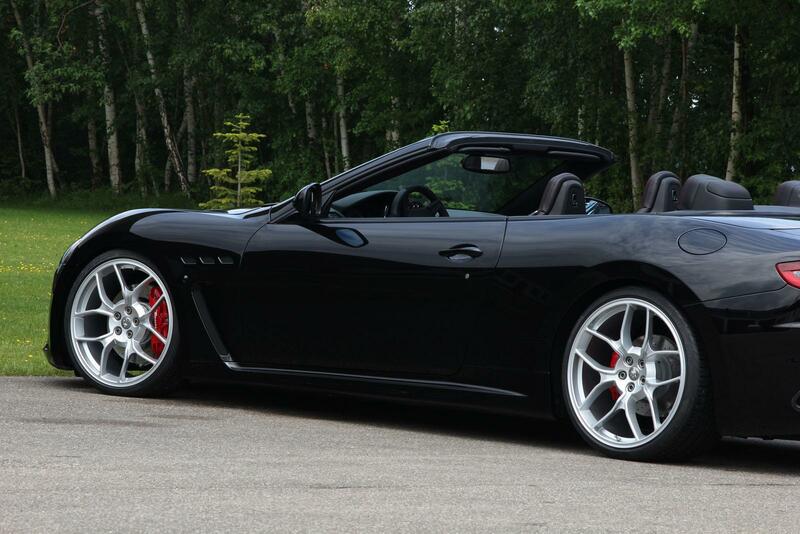 The new GranCabrio MC is the sportiest drop-top Maserati ever. 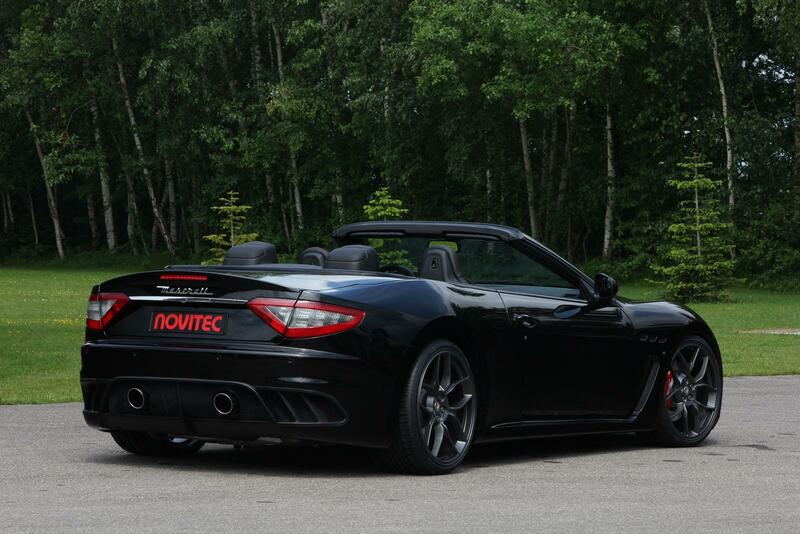 NOVITEC TRIDENTE, the world’s leading refinement specialist for the automobiles bearing the trident, further builds on these talents with a sophisticated customization program: the NOVITEC TRIDENTE supercharged engine producing 475 kW / 646 hp of power and a peak torque of 624 Nm gives the drop-top 2+2 seater a top speed in excess of 305 km/h. 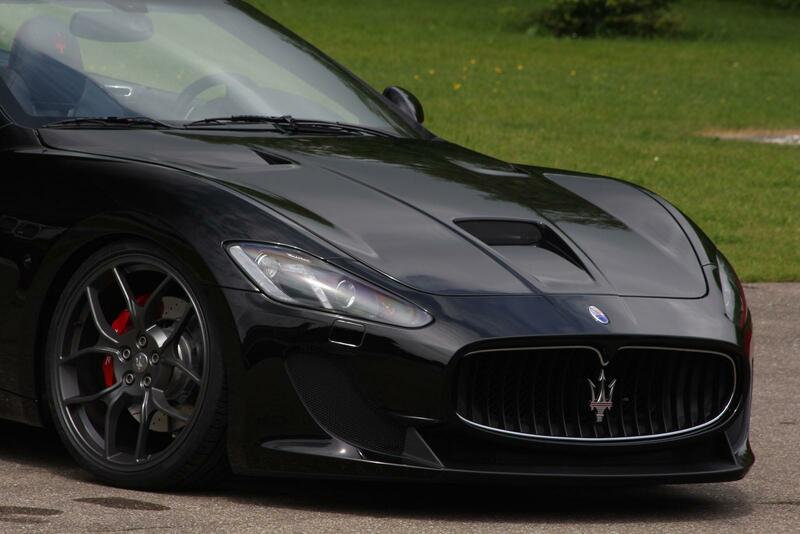 The program also includes high-tech forged wheels, a hydraulically height-adjustable coil-over suspension and exclusive interior options. 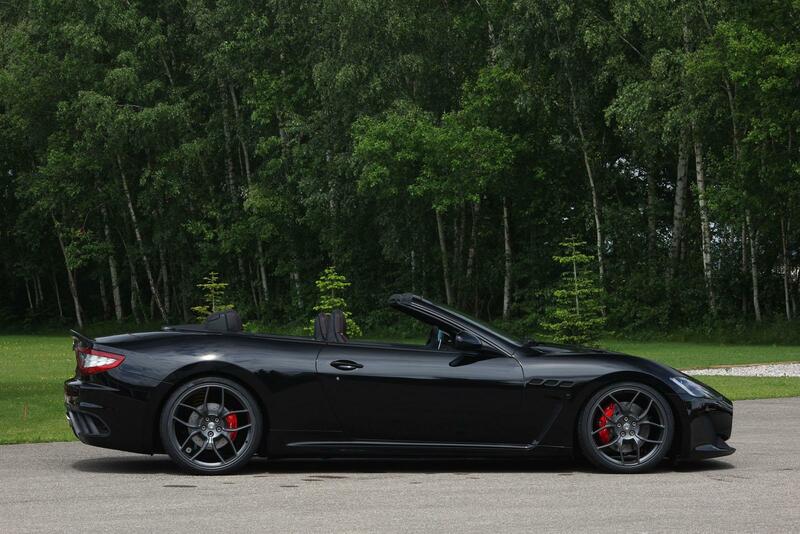 Following the tried and proven NOVITEC TRIDENTE tradition, a supercharger conversion in the Maserati GranCabrio MC provides outstanding performance paired with durability and everyday suitability beyond reproach. 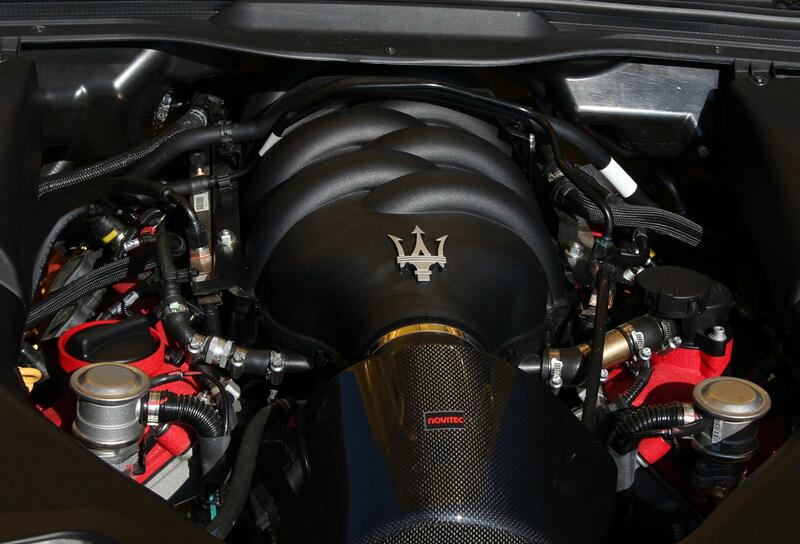 The 4.7-liter eight-cylinder four-valve V8 engine drives the mechanical supercharger via a V-ribbed belt. The maximum boost pressure is limited to 0.43 bar. To keep the temperature of the charge air as cool as possible, the NOVITEC TRIDENTE supercharger system has a water-cooled intercooler whose ideal operating temperature is ensured by a separate cooling circuit with two heat exchangers. 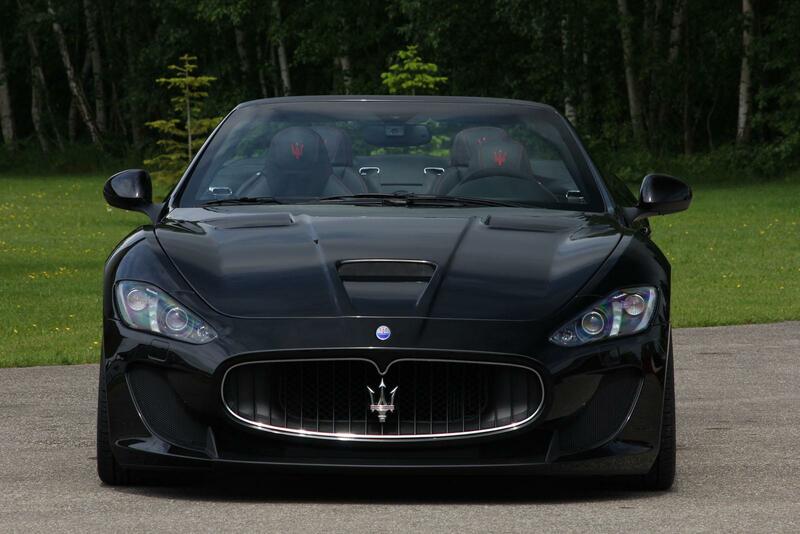 The conversion, which sells for 23,900 euros, also includes a more voluminous intake manifold, larger injectors and newly calibrated mapping for the engine electronics. The new mapping for injection and ignition coordinate the combined effects of the NOVITEC TRIDENTE high-performance components to perfection. The result is an outstanding power yield with an immensely potent and extremely linear power curve. 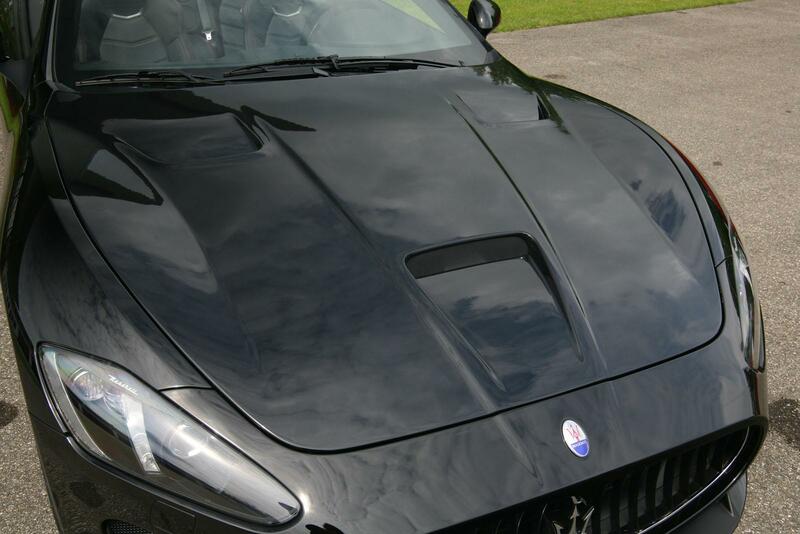 The NOVITEC TRIDENTE hood with centrally positioned air scoop lets the supercharged engine breathe freely. 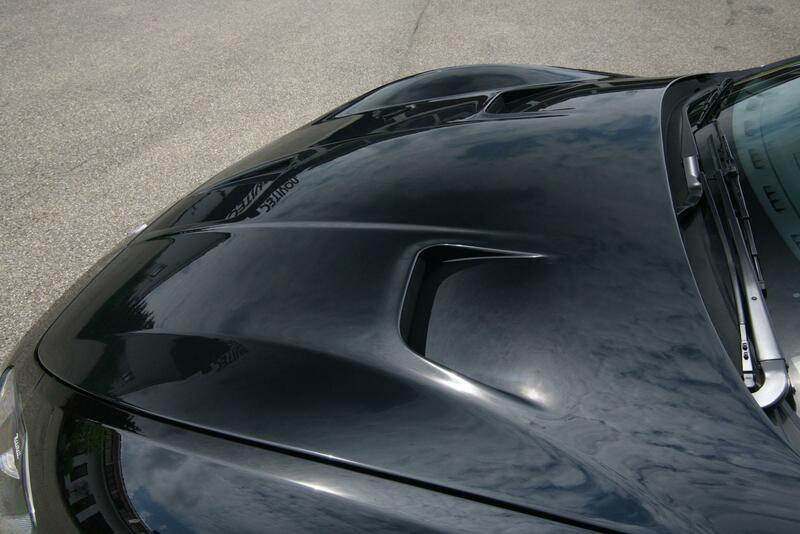 For optimized venting of the engine compartment the hood also features two generously dimensioned air outlets. 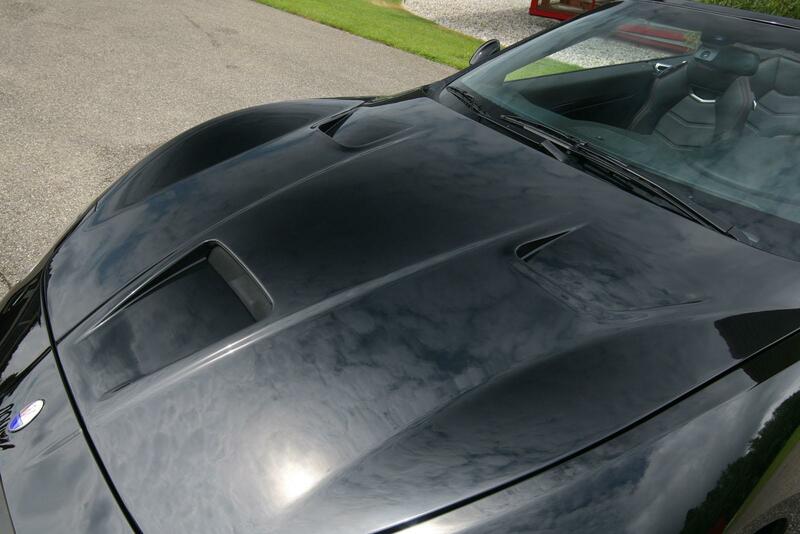 The hood is also available as an individual component without engine conversion. 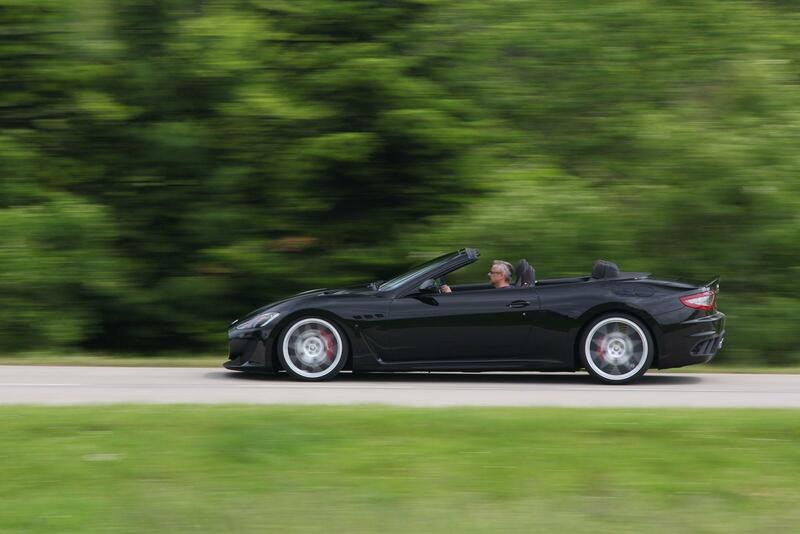 The complex supercharger conversion elevates the GranCabrio MC to a new and fascinating performance level: 136.9 kW / 186 hp of added power or a total of 475 kW / 646 hp at 7,500 rpm set new standards as does the bump in peak torque to 624 Nm at 5,600 rpm. 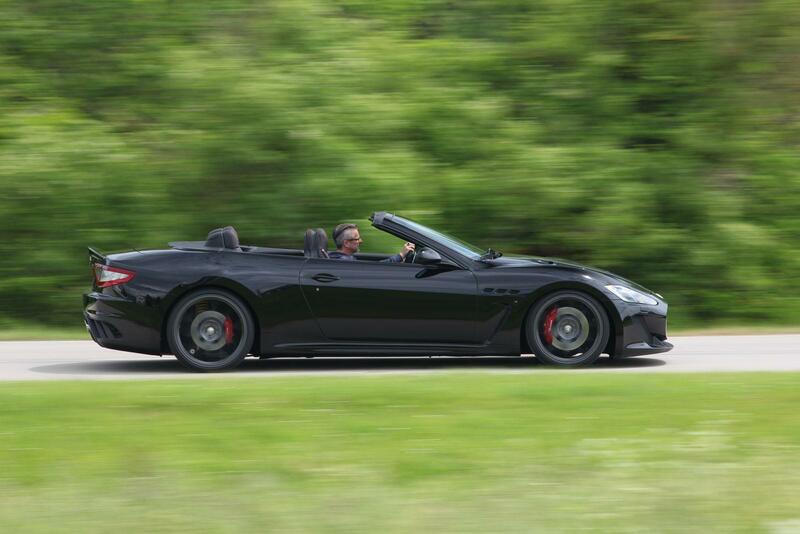 In conjunction with the six-speed automatic transmission that can also be shifted with shift paddles on the steering wheel the drop-top 2+2 seater delivers exceptional performance: the tuned GranCabrio MC accelerates from rest to 100 km/h in just 3.9 seconds and to 200 km/h in a mere 11.4 seconds. 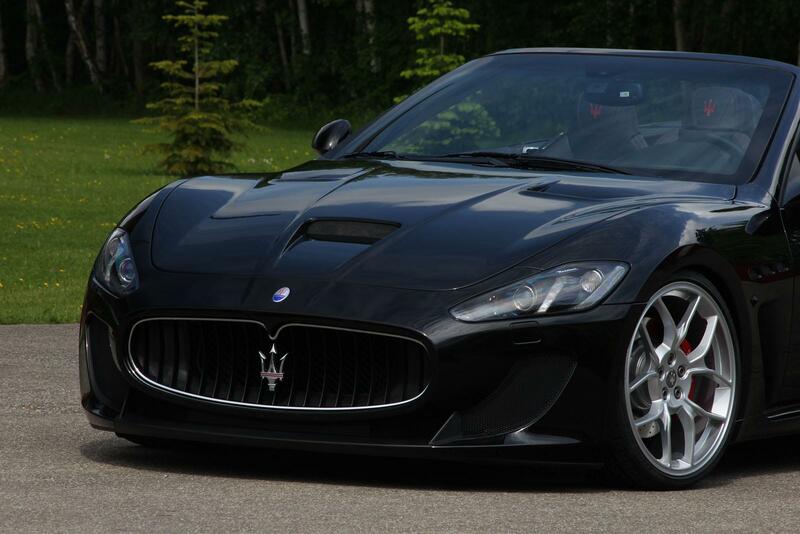 Top speed is in excess of 305 km/h. 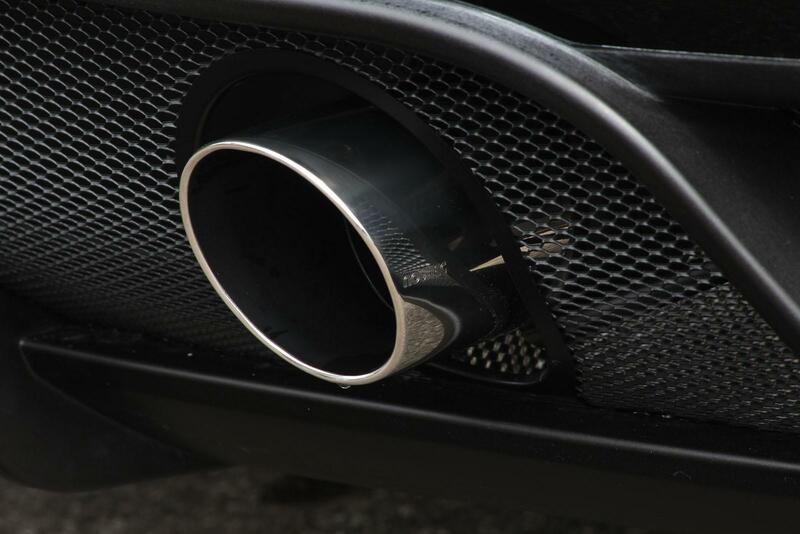 To visually refine the vehicle’s exhaust system that comes ex-factory with electronic sound management NOVITEC TRIDENTE upgrades the flap-controlled production exhaust with two 105-mm tailpipes that are available with a choice of black-coated or polished finish. 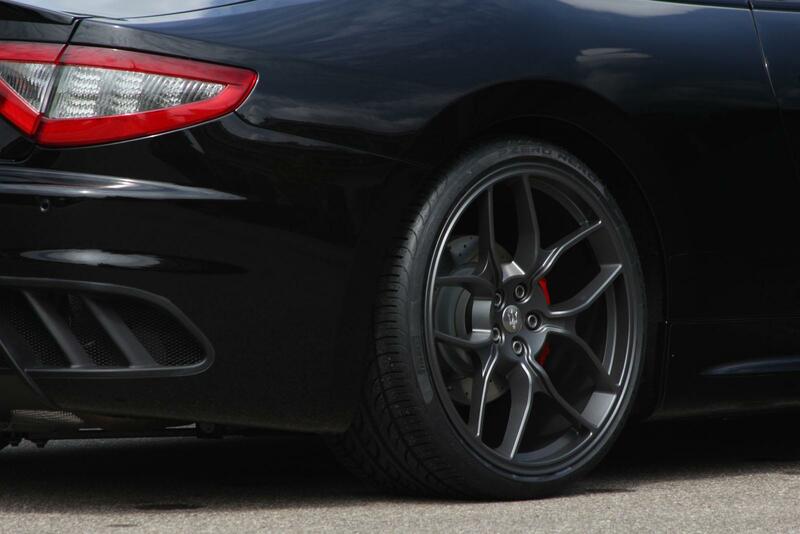 To give the sports car an even more thrilling appearance and further enhance dynamic handling NOVITEC TRIDENTE offers tailor-made tire/wheel combinations for the ragtop Maserati. 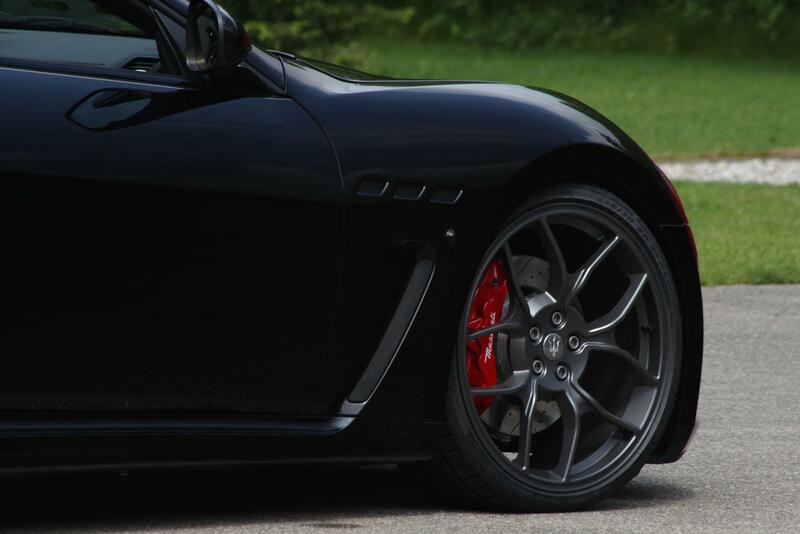 Choosing a staggered combination of alloy wheels with different diameters for the front and rear axle further emphasizes the wedge-shaped look of the sports car. State-of-the-art forging technology makes the new NOVITEC TRIDENTE NM4 wheels with five delicate twin spokes extremely light and gives them maximum strength. 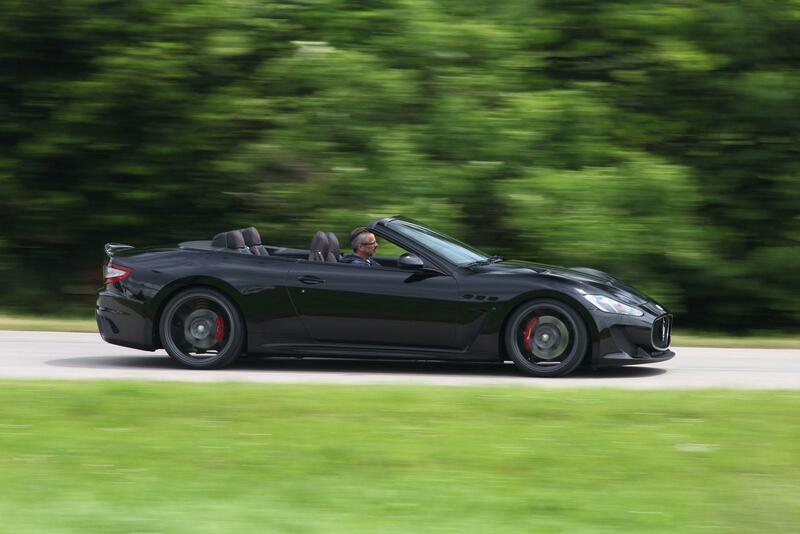 The reduced unsprung mass contributes to agile dynamic handling. Despite their king-size dimensions, 9Jx21 in front and 12Jx22 on the rear axle, they weigh in at just 9.9 and 13.5 kilograms. 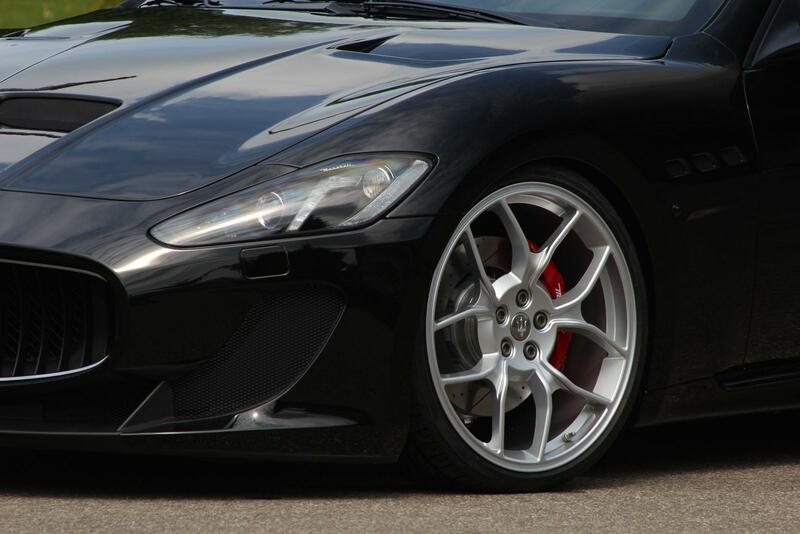 This makes the NOVITEC TRIDENTE rims some of the lightest in these sizes. 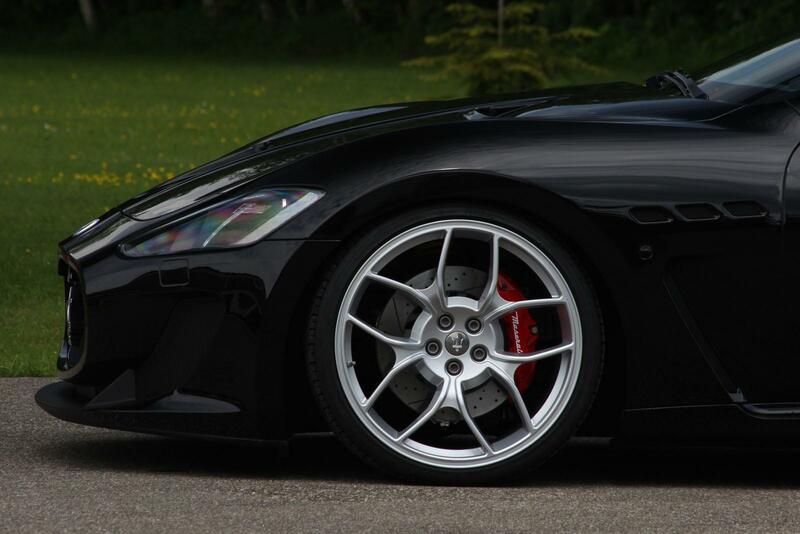 Technology partner Pirelli contributes PZero high-performance tires in sizes 255/30 ZR 21 and 315/25 ZR 22. 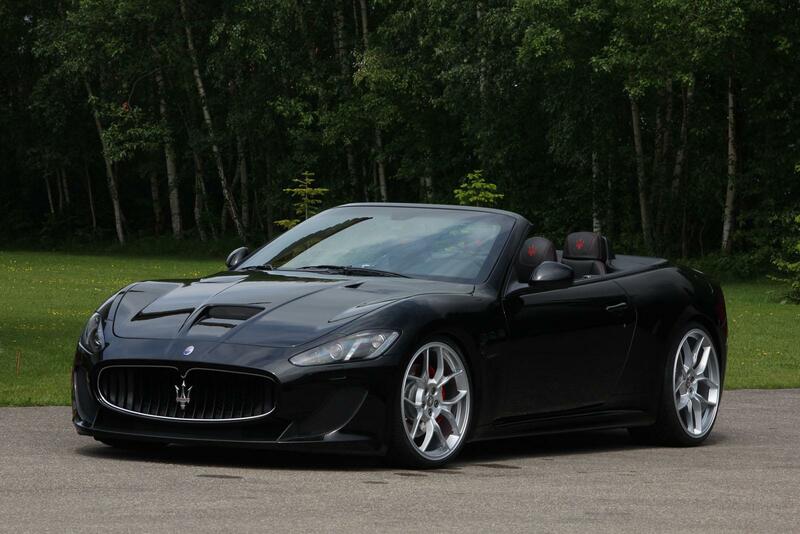 The popular three-piece NOVITEC ROSSO NM3 wheels with diameters of 20, 21 and 22 inches continue to be available as an option. 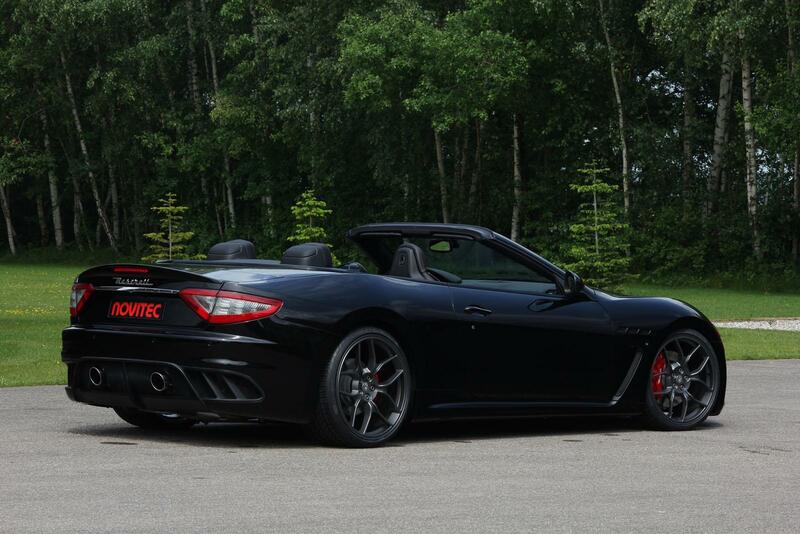 The NOVITEC TRIDENTE sports suspension is specifically calibrated to the high-performance tires. 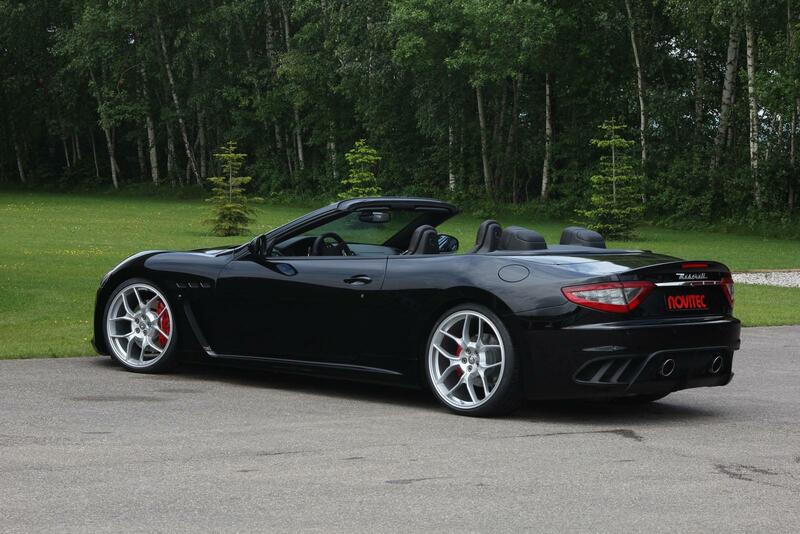 This suspension allows adjusting the damper settings and the ride height to customers’ individual preferences. 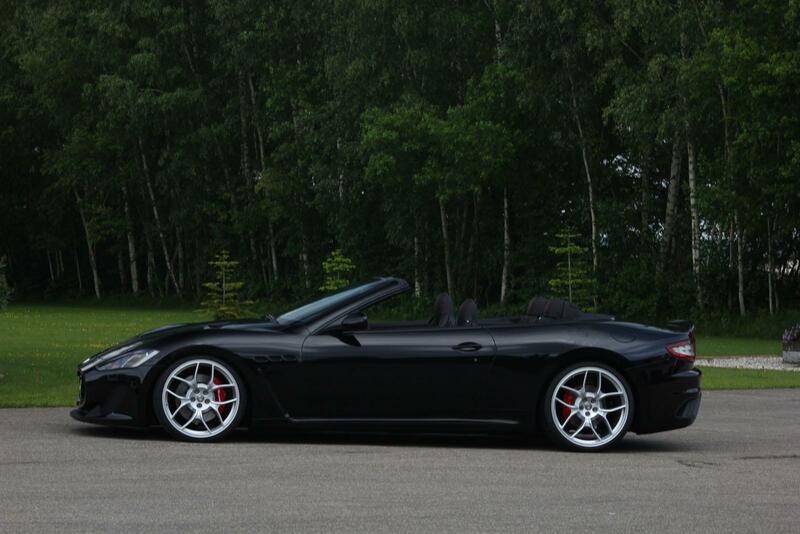 To further increase everyday suitability the suspension allows raising the body by 40 millimeters on the front and rear axle at the push of a button. This makes it easier to safely navigate parking garage ramps or speed humps. Afterwards the suspension can be lowered back to its original level from the cockpit. 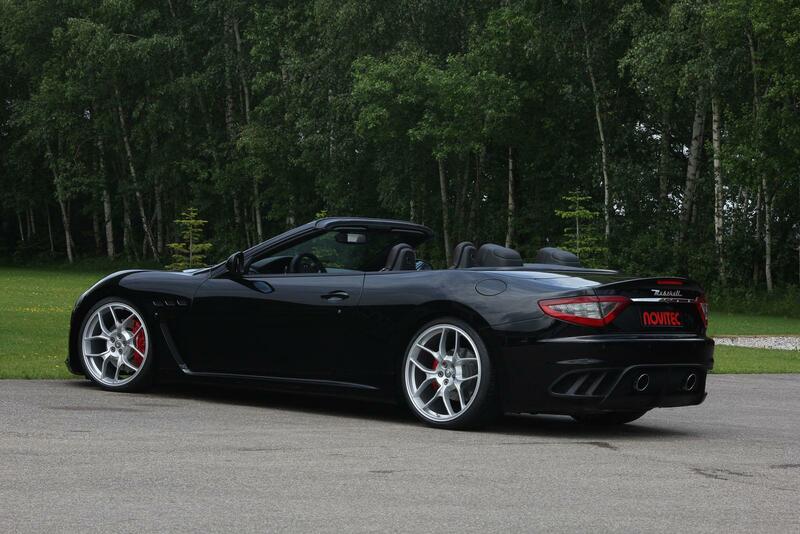 Upon reaching a speed of 80 km/h the suspension automatically reverts to its standard ride height. 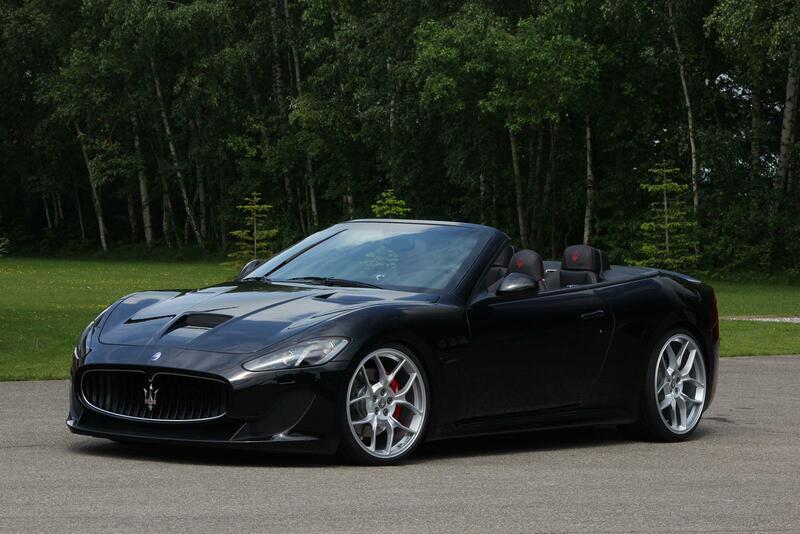 NOVITEC TRIDENTE can also adapt the cockpit of the Maserati GranCabrio MC to suit the owner’s personal taste and style. For this purpose the company uses the finest leathers or Alcantara in any desired color. All prices are export prices excluding VAT!